As Durga Puja approaches all eyes in India look towards the city of Kolkata, as it is here that the most fervent celebrations happen. But there’s a lot more to the capital of West Bengal, here’s my tips on the best things to see and do in Kolkata. Kolkata has some of the finest examples of grand architecture left by the British Raj. The masterpiece would have to be the Victoria Memorial which is now a museum. This imposing building was completed in 1921 and houses a great range of books, paintings and sculptures, making it perfect for a rare rainy day. In the evening you can also come here to enjoy a sound and light show. The recently sainted St Theresa devoted her life to the impoverished and ill in Kolkata. A visit to what was her home is a humbling but also inspirational experience. Old letters, sarees, her tomb, and even her sandals are preserved here. 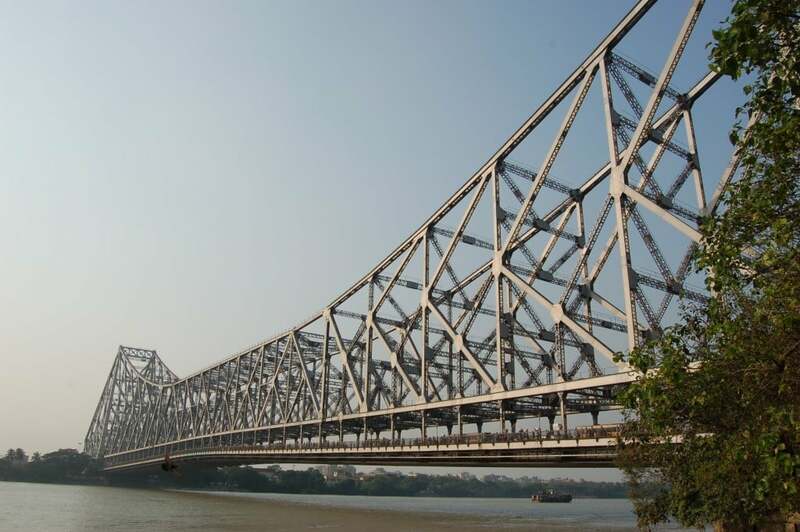 This iconic bridge sits over the Hooghly River, bringing together Kolkata and its twin city Howrah. The single span bridge doesn’t have any pylons, but what makes it really extraordinary is the sheer volume of traffic that it holds every day. 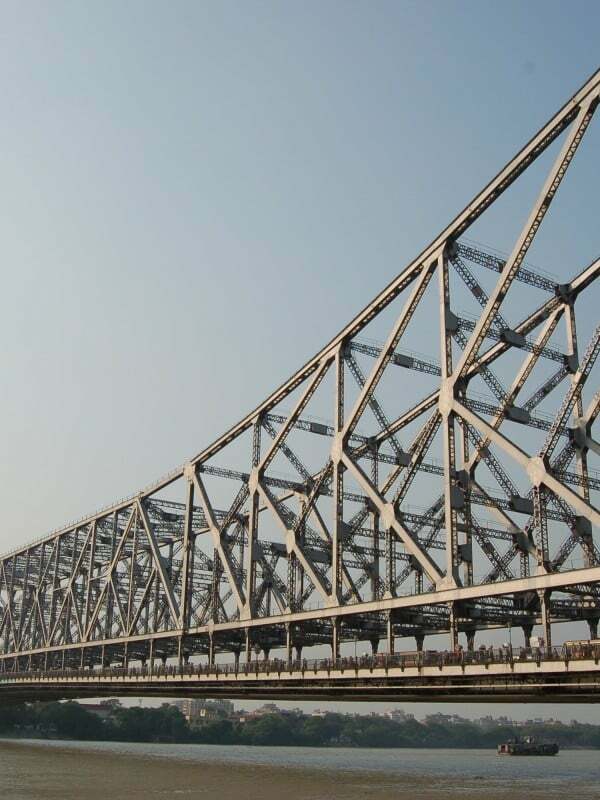 It’s estimated that over 150,000 vehicles and more than 4 million pedestrians rely on the Howrah bridge every day. So if you can’t beat them why not join them and walk across the Howrah! 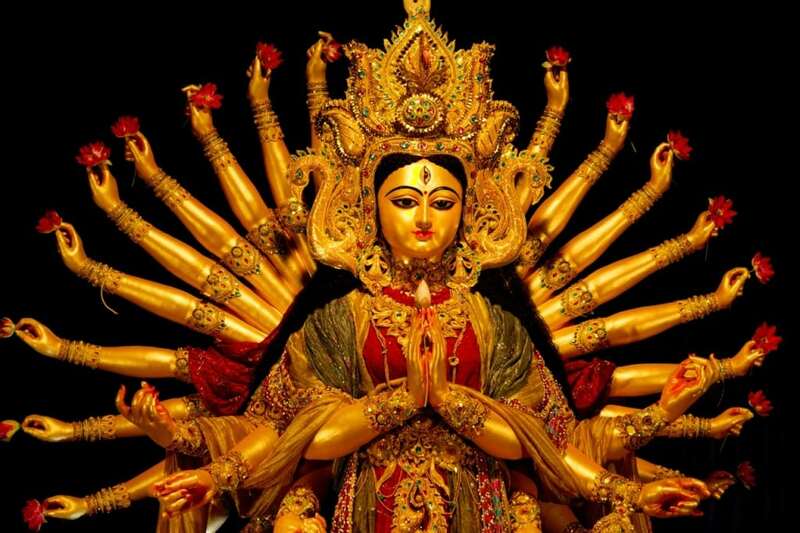 Of course if you do happen to be in Kolkata for Durga Puja, or even just before, you shouldn’t miss out on the vibrant spectacle that celebrates the mother goddess. In the weeks leading up to the festival visit the suburb of Kumartuli and see the magnificent statues being crafted. During the festival you will find Durga Pandals dotted throughout the city, try Bagbazar or Santosh Mitra Square, or head to the ghats and watch as the creations are immersed in water. Kolkata is a wonderful place to shop and the best place to pick up a bargain is the New Market. Here you’ll find almost anything you want, but be prepared to search through over 2,000 stalls. If you just want to browse and soak in the local atmosphere then head to Park Street. This is the heart of the entertainment district, with plenty of shops as well as restaurants and bars. Kolkata is famous for its street food, and no visit is complete without tasting what the city has to offer. Munch on some spicy jhal muri or grab lunch on the run with a delicious khati roll stuffed with steaming meat and egg straight off the grill. It would be remiss of you not to have a tangy mustard fish curry and finish it all off with a sweet and refreshing mishti doi. 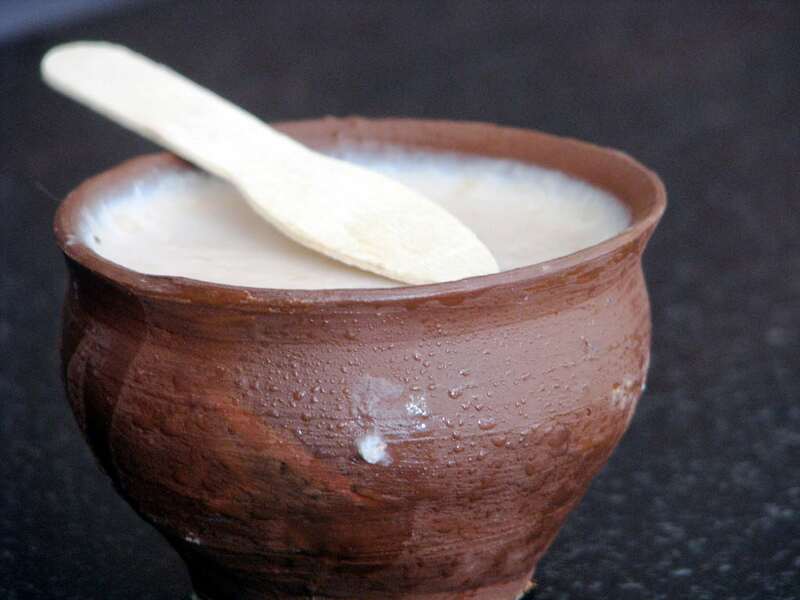 You can find more on what and where to eat in Kolkata here.